Newent School was Gloucestershire's first purpose built comprehensive and is today a thriving over-subscribed Foundation school with 1,350 pupils between the ages of 11 and 19 and 150 staff. 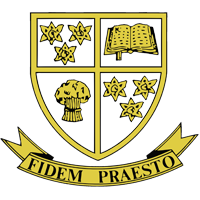 Over the last 12 months Newent School has fully automated pupil, parent and staff user account provisioning by integrating its MIS system SIMS with both Active Directory and its chosen VLE, Moodle. This was considered the only effective way to cope with today's education account provisioning issues. "We recognised early the importance of investing in sophisticated integration tools rather than expensive VLE software", said Kevin Stacey, IT Manager. Today's requirement for schools to install and manage a VLE has significantly increased the support overheads as class sites have to be created and populated with accurate student and staff data. The alternative solution of outsourcing VLE management is not considered viable for reasons of cost, security and control. This is in addition to the existing need to create and manage pupil's network accounts through their entire life cycle. Manually creating unique logons, passwords, mail addresses to a consistent format, generating new sets of group memberships annually that reflect pupil status by Year and Course, is time consuming and increasingly expensive. Kevin Stacey: "Like all other schools we need to deal with these issues and we found Tools4ever to be the best in its class." In June 2009 Newent, a long time user of SpaceGuard, Tools4ever's disk quota management solution, installed User Management Resource Administrator to automate and delegate user account provisioning. UMRA Automation creates a direct link to the school's SIMS MIS system. At the start of the academic year in September, new student accounts are created in line with the school's chosen naming conventions for logons, emails and passwords. Leaver's accounts are disabled and home areas moved to an archive server for 12 months. Group memberships are regularly adjusted according to Year and Course. This allows Moodle class sites to be automatically populated with both students and teachers. A student changing teaching groups in the middle of term would seamlessly be transferred between courses. At the end of the academic year all existing class groups are cleared down while new ones are set up. UMRA Forms have been built so that short term provisioning requirements can be easily accommodated. New pupils or staff can have accounts created and access to network resources even before they're added to the SIMS database. "We would not have had the resources to manipulate large sets of student and staff data in an environment where accuracy is paramount without the help of Tools4ever." One of the perceived benefits of a VLE is the potential to grant parents and guardians access to their children's class sites. Guaranteeing parents could only be matched with their offspring was considered a show stopper, due to Data Protection implications, until Newent discovered that UMRA was able to handle this accurately with only a few hours technical support work. Remote access to the school's network increases in importance as both staff and students increasingly rely on access at evenings, weekends and holidays, so the implication of forgotten passwords balloon. Newent are now considering Tools4ever's Active Directory Self Service Reset Password Manager as a means of ensuring that passwords can be reset via a web page. Newent's leadership in data integration has attracted the attention of other schools in the Local Education Authority area, particularly its feeder primary schools, which have less technical resource available to them on a day to day basis.